So let's get started with this ribbed knitted top. I just love the flattering cut of the top, from the high neckline to the way it flares to skim the hips. It would look perfect worn with these cropped straight leg jeans, loosely tucked in at the front with this belt & these leather mules. 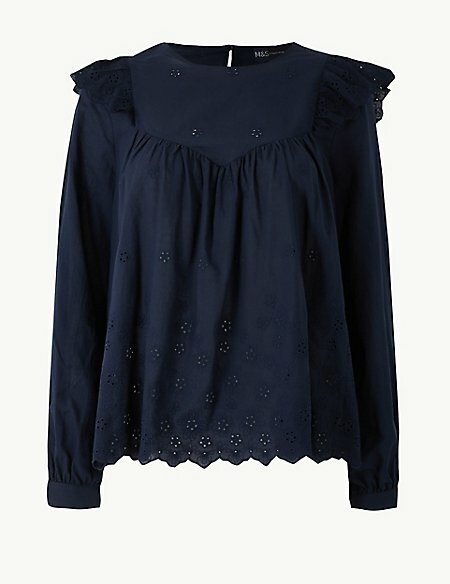 Now we all love a pretty white broderie top or two, but how about a navy one, such as the frill detailed beauty above. This would be great for dressing up an every day combo of boyfriend jeans like these & trainers such as these. One look I'm planning on wearing more this season is a simple tee & blazer combo as I think it just looks so effortless. So a good quality crew neck tee like this white one above, which is also available in navy & black would be ideal for teaming with this blazer & paired with either boyfriend or skinny jeans & either trainers or these ballet pumps. Equally come the sunshine & warmer weather a pretty boho top makes a great addition for wearing both on holiday & at home. For holiday I just love the look of how the above embroidered blouse has been styled with these shorts. Just add this panama & these sandals for warmer weather, or pair with boyfriend jeans, trainers & this faux leather biker jacket for Spring. 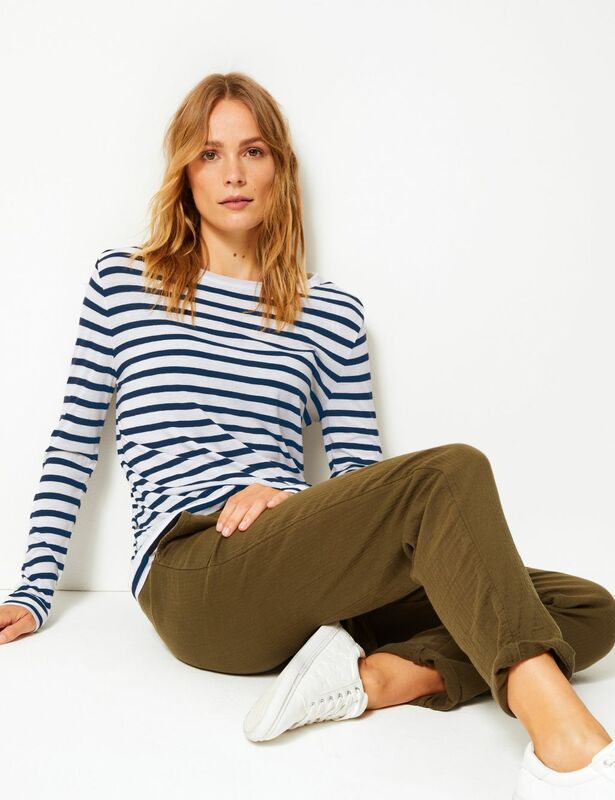 Of course we all love stripes & the above look of this breton, these trousers & these white star trainers would look so stylish finished off with this ruched sleeve blazer. A quick way of updating your wardrobe for the coming season is to add pieces that are timeless in design but incorporate the latest colour trends. 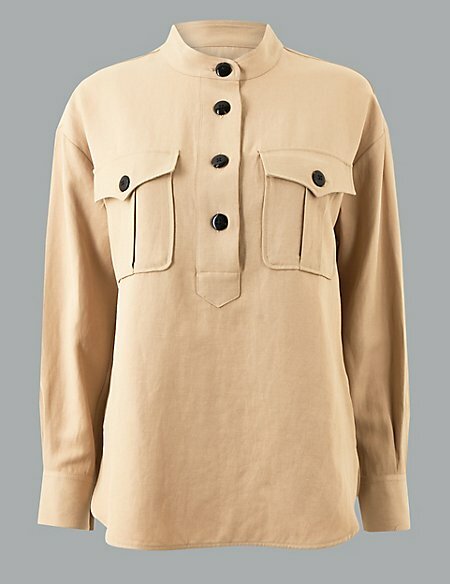 Beige is set to be huge for Spring/Summer so the above shirt ticks all the boxes. Again this can easily be styled with boyfriend jeans & trainers for day, a leather skirt such as the one I've featured below or a longer version like this one or even these leather trousers. If you don't already own a grey marl crew neck tee then one like the one featured above would make a great wardrobe staple & would be a brilliant way of updating your biker jacket for Spring. I love how Marks have styled it above with these black jeans & I would finish the look off with these ballet flats. I just love the look of the above textured leather skirt. 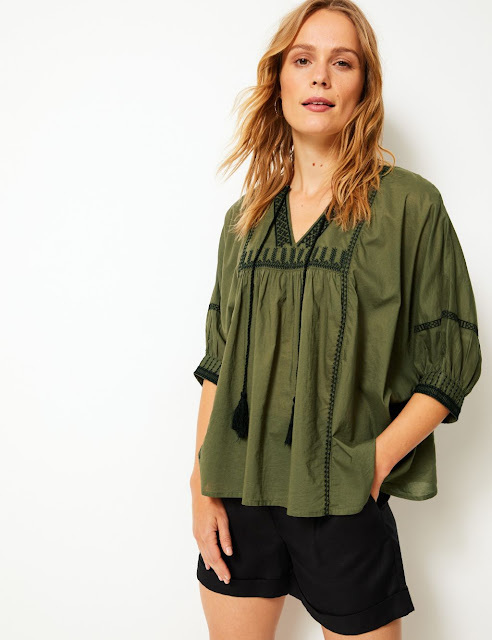 Perfect for wearing as styled above or alternatively with a breton, or even one of the loose fit/boho blouses featured earlier in the post. Another key colour trend for the coming season is green & this floral tiered maxi dress would be perfect for wearing with either this denim jacket or the shacket I've featured below & of course these tan sandals the model is wearing. 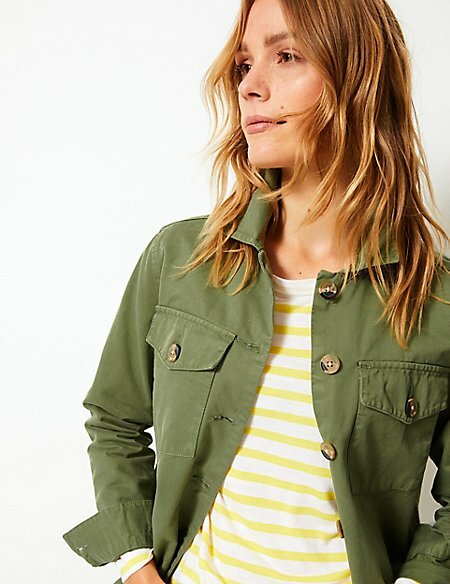 Pair with the above maxi dress, jeans or even cigarette pants for a smarter day look. Not to mention stripes & broderie anglaise. 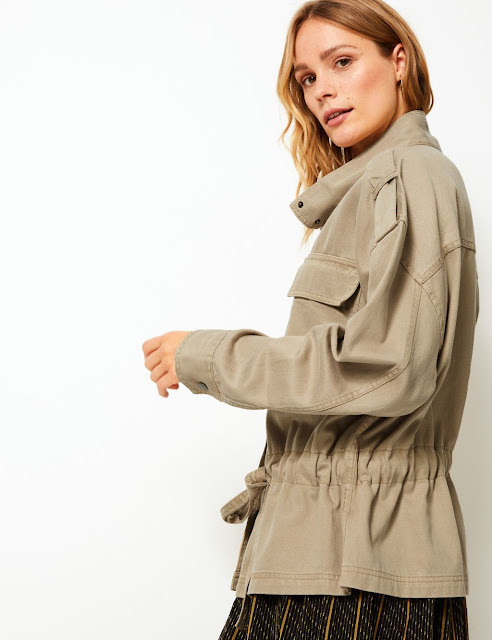 Or if you fancy something a little different to a denim jacket or shacket then the above jacket has some great detailing that would be perfect for transforming the simplest of looks. Finally I couldn't not feature a few statement accessories as they are such an easy way of updating your old Spring wardrobes. 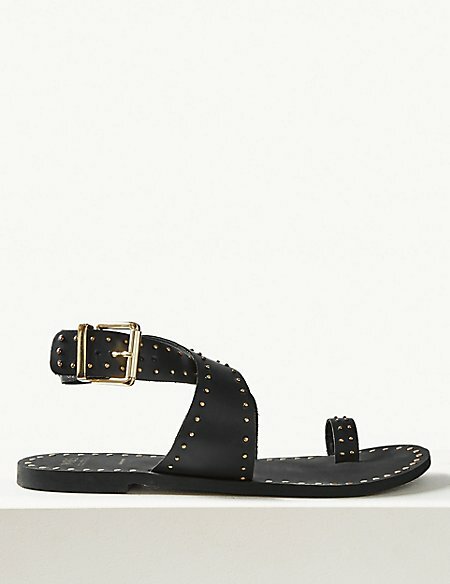 I'm definitely going to be ordering a pair of the above studded sandals, that are incredibly similar to a tan pair I bought last year & had so many compliments on. Plus if you're in the market for tan, then the above ones are also available in tan too! 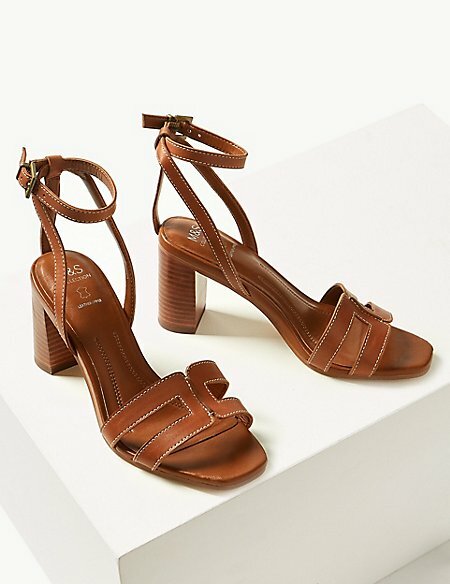 Then for an evening or special event how gorgeous are these tan ankle strap sandals? 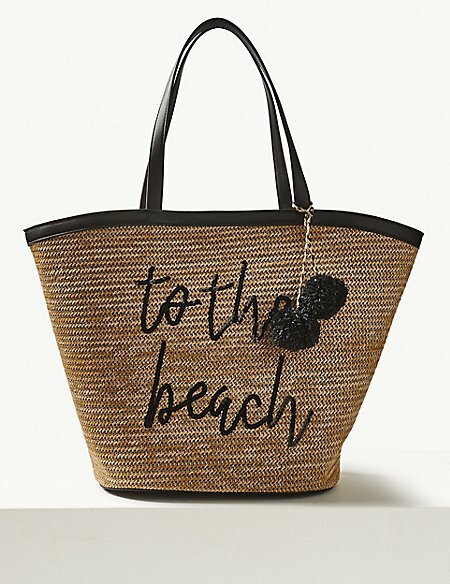 Now if you're anything like me you'll find it hard to resist a basket come the arrival of the sunshine & this statement tote would be ideal for summer holidays. 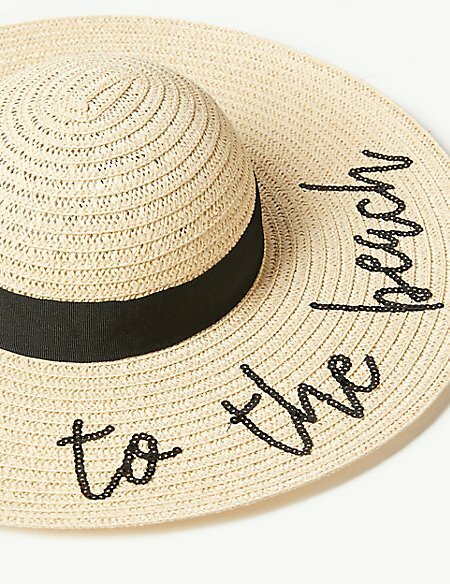 As would this statement sun hat. Back to today & it's all about that simple style brought to life with a statement accessory. Enjoy your day ladies & if you've not checked out Marks' latest drop of temptations, then take a peek here as they've got a really strong collection coming through with lots of stylish wardrobe 'must haves'.